Today, we’re not the only ones who are glad he did. A whiskey nearly lost forever. A tavern keeper in 1830s Louisville, Kentucky, Augustus Bulleit was dedicated to a single goal: the creation of a bourbon unique in flavor. After experimenting with countless varieties in small-batch trials, he finally came upon a bourbon with the character he had long sought after. One fateful day, while transporting his barrels of bourbon from Kentucky to New Orleans, Augustus Bulleit vanished. What happened is still unknown, and his creation nearly disappeared into history along with him. 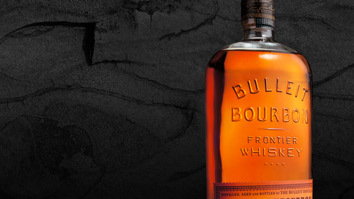 To this day, Bulleit Bourbon is distilled and aged in small batches. High rye content gives it a bold, spicy character with a distinctively smooth, clean finish. Kentucky limestone-filtered water provides a foundation for the bourbon’s character, while charred American oak barrels lend a smoky backbone. Our aging philosophy is simple: we wait until our bourbon is ready. As Bulleit enthusiasts know, rye has always been our cornerstone. In this tradition, we’re proud to present Bulleit Rye – a small batch, straight rye whiskey made from 95% rye and 5% malted barley. It’s a whiskey with unparalleled spice and complexity.